Rhyce Power has lashed out at Martha Kalifatidis after she claimed he was ‘all over her like a rash’ and had used her for fame at a recent event. 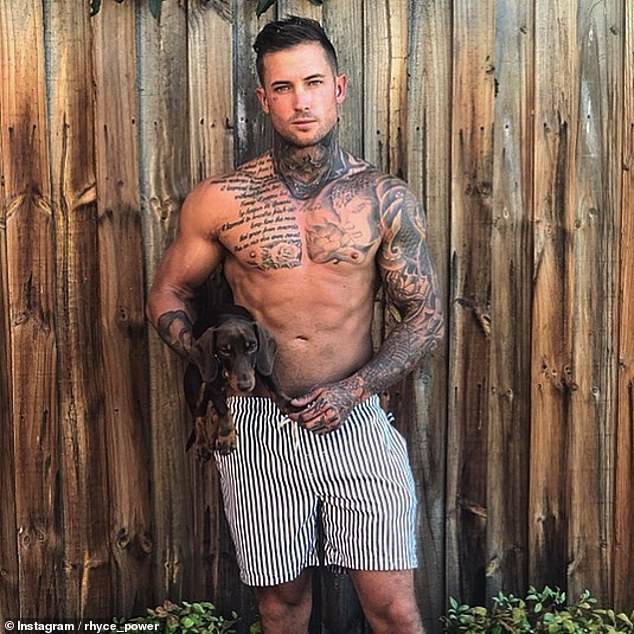 The tattooed hunk, who is the brother of Married At First Sight’s Jessika Power, shared a racy snap of his model girlfriend Vanessa Sierra, 24, reclining in a tiny bikini on Instagram on Sunday. And in a now-deleted comment on the shot, he took a swipe at Martha, declaring that Vanessa is ‘much more attractive than a wannabe Kim Kardashian‘. His jibe comes after Martha claimed Rhyce was ‘all over her like a rash’ and using her for fame after he flirtatiously posed with her at the Melbourne Fashion Festival earlier this month. ‘I don’t know Rhyce, I literally met him that night,’ she said of their outing. 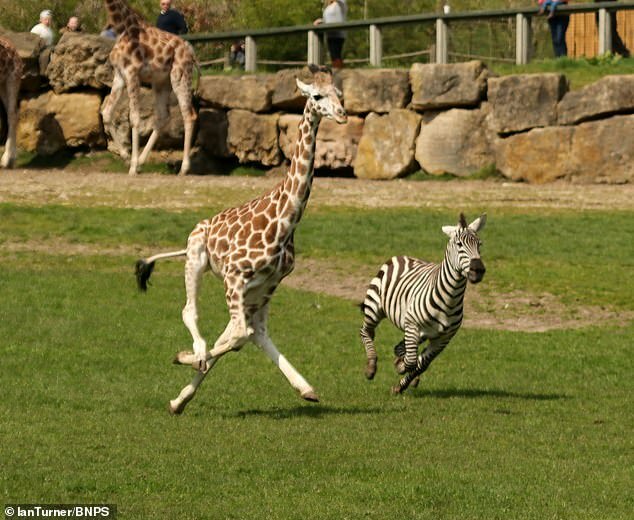 Meanwhile, sources told Daily Mail Australia that Rhyce’s tactile display with Martha was completely one-sided. ‘He was just playing up in front of the cameras for publicity and attention, but Martha is still dating Michael [Brunelli] and they’re very happy,’ an insider said. Last month, Martha told told A Current Affair that she is flattered by the comparisons to Kim Kardashian. ‘Everyone’s inspired by Kim… She’s hot!’ she gushed. 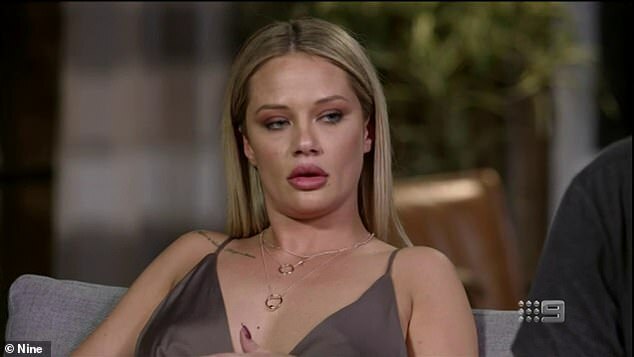 Rhyce, who is currently on an eight-week holiday at a Thailand fitness retreat with Vanessa, hit out at ‘ugly’ and ‘nasty’ trolls in the comments of his photo of his girlfriend. Reacting to one online bully, he wrote: ‘I’m imagining you to be a very ugly old person with not to many people in your life, sour at the world.. possibly 5-10 cats am I right? ‘You’d have to be to put the time and energy into a insta page like your made yourself there with trying to belittle people and go around saying nasty things.. I feel sorry for you mate I’m sorry if you got picked on or bullied when you where younger so you need to hide behind a computer and a nasty fake Insta page and spread hate.